BEACH HOUSE LUXE ~ WATERFRONT LUXURY W/REFINED DESIGN BY ANTROBUS + RAMIREZ!!! 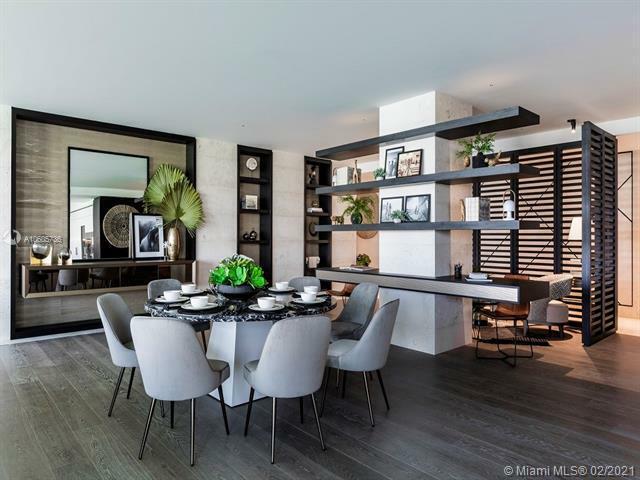 Floor-through C East Open Floorplan w/palette of Materials & Colors from Award-Winning design duo also responsible for lobby level Amenities which evoke Tropical surroundings & relaxed lifestyle of Fisher Island. Turnkey 8th Floor residence is Move-in Ready w/4 Bedrooms & 4 Bathrooms + Powder. 4,956 sf Interiors + 900 sf Terraces. 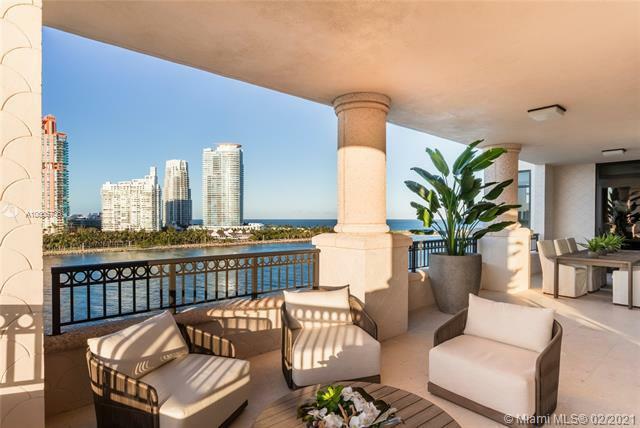 Direct Ocean View from Living Room + vistas of S. Pointe Park, Biscayne Bay, downtown Miami & Fisher Island. Private Elevator Entry. Perfect for families w/curated Children's bedroom+bathroom. Chef's Kitchen by Boffi w/Gaggenau +SubZero appliances. Statuaria Bookmatched Marble master bath w/Dornbracht+Duravit fixtures. New construction. Fisher Island's only full service building.